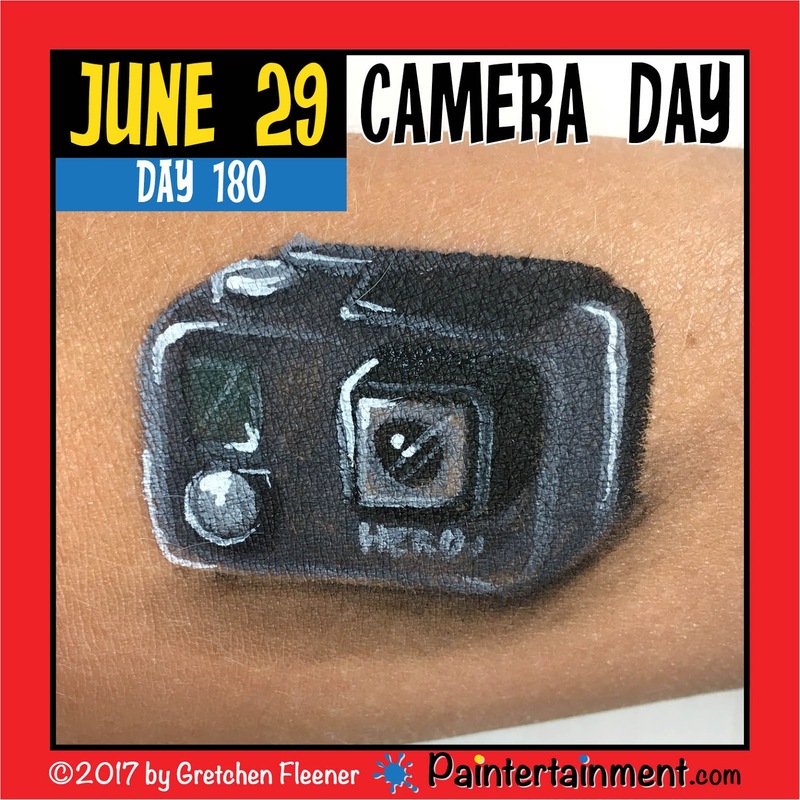 June brought yet another awesome month of subject matter for paintings! 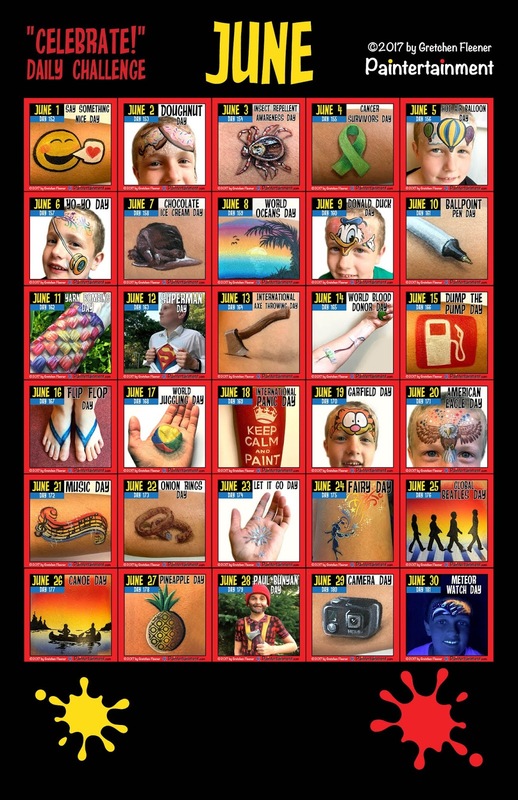 Here they all are, along with a few of my favorites shown larger, below! Bring it on, July! Almost officially half way through! 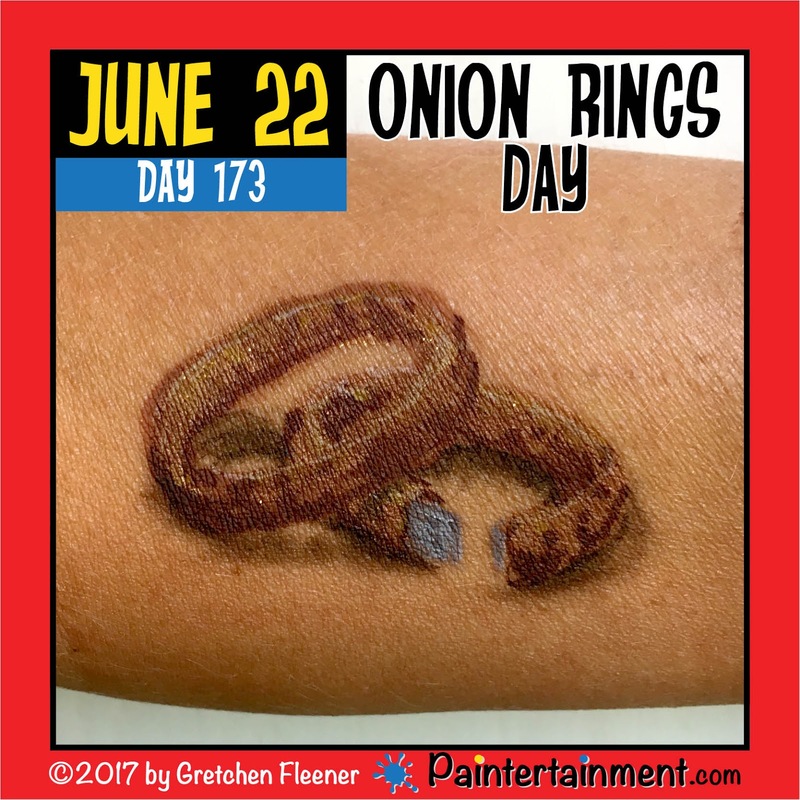 Here are a few of my favorites from June! Celebrate Day 181: "Meteor Watch Day!" 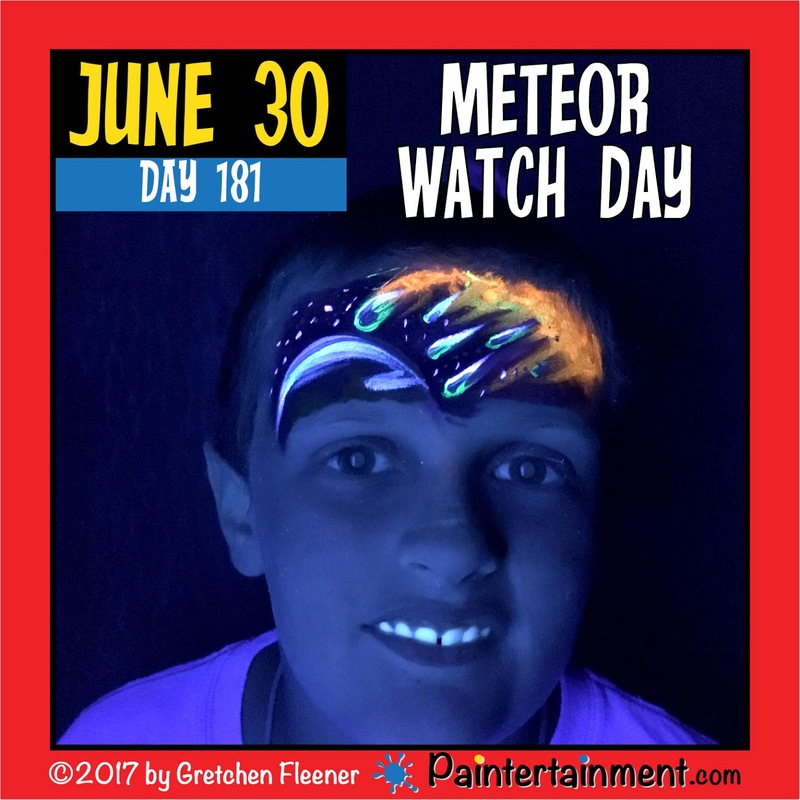 Happy meteor watch day! The funny thing was I didn't intend on even putting this one under blacklight until I was done, and then thought hey, I used some UV stuff, maybe it'll look cool! So we tried it and it turned out pretty cool! If I were planning it for UV from the start I'd have made the earth glow more. But, I think it turned out fun and that's the whole point of this challenge...to learn stuff! 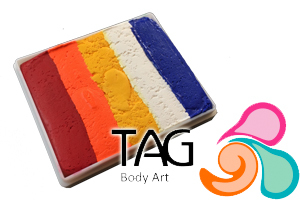 To purchase paints like this that react to black light, check out our shop! Confused about the difference between fluorescent, UV, Neon, glow in the dark, etc? Read up on the subject in this blog post! Celebrate Day 180: Camera Day! 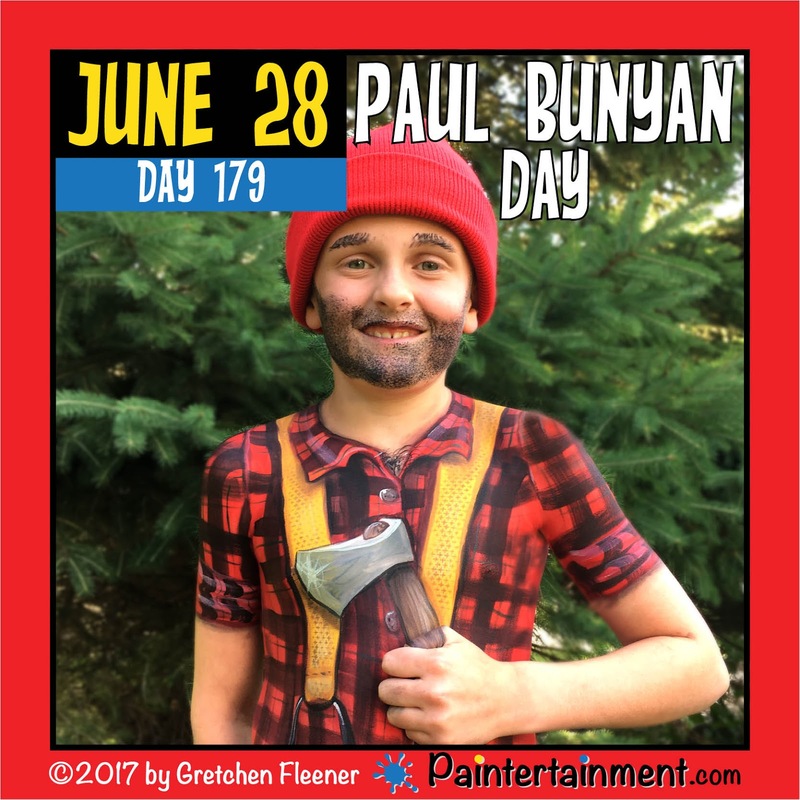 Celebrate Day 179: "Paul Bunyan Day!" Happy Paul Bunyan Day! 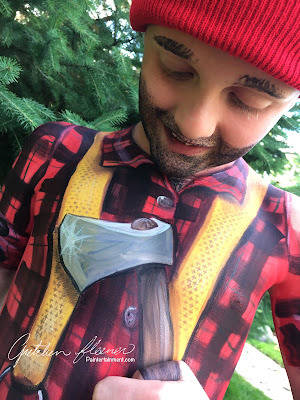 Being a Minnesotan, Paul Bunyan is near & dear to my heart...so I painted this boy who is even more near & dear to my heart!! 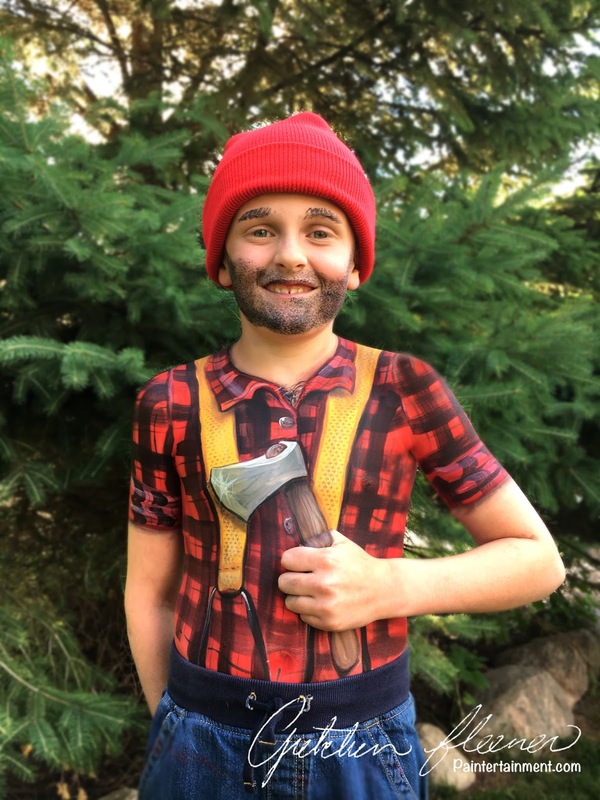 Sam was such a great sport letting me transform him into Paul Bunyan! 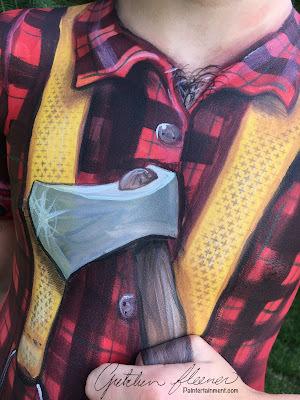 Of course I had to paint a little bit of his thumb to get the desired effect of him holding the axe! The texture on the suspenders was done with a BAM 2032 stencil. The bushy eyebrows and beard really made it, when combined with the stocking cap! Thanks again to Sam for being my awesome model!! 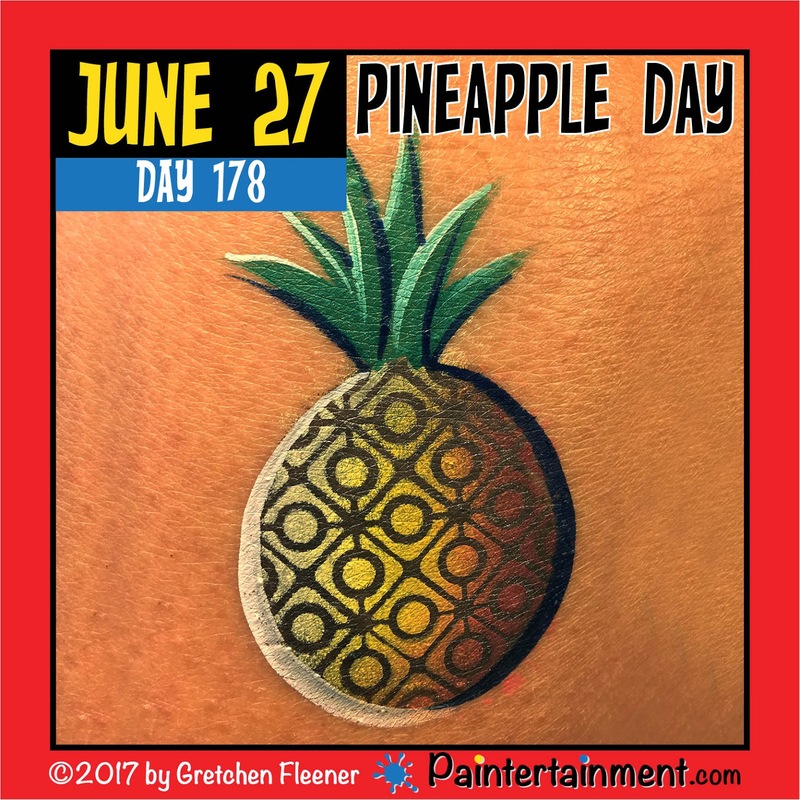 Celebrate Day 178: "Pineapple Day!" Happy Pineapple Day! 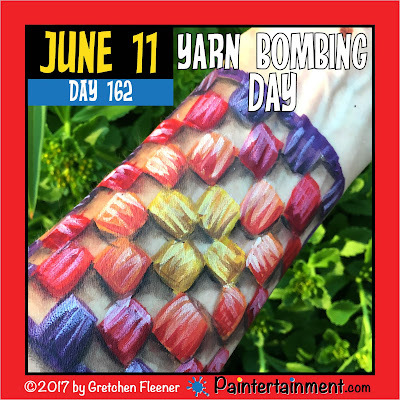 The texture in this one came from the HAS "Design" set! It's the same one I used to add a little texture to the sandal straps on flip flop day! 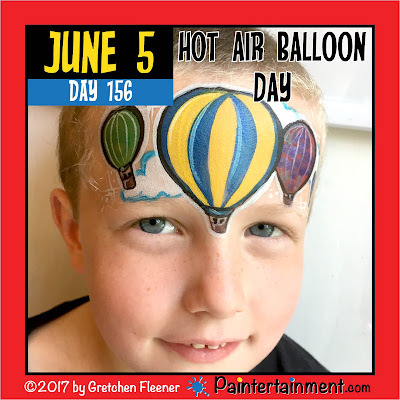 First I laid down an oval of FAB steel black shimmer, and then created the texture using a TAG Tropical one stroke cake with a round foam dauber. Celebrate Day 177: "Canoe Day!" 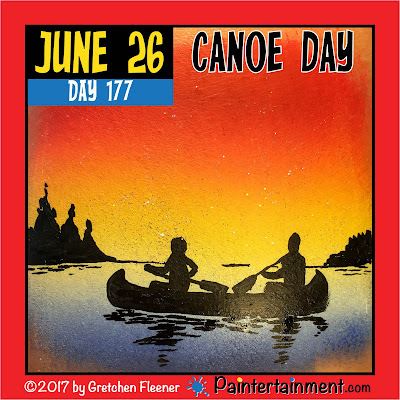 Happy canoe day! Well, as you can see I can't seem to get enough of our new exclusive split cake, Ocean Sunset! This one works great for lake scenes, too! I love doing silhouette designs like this...they always end up looking impressive but are super simple, forgiving, and this only uses two cakes of paint! 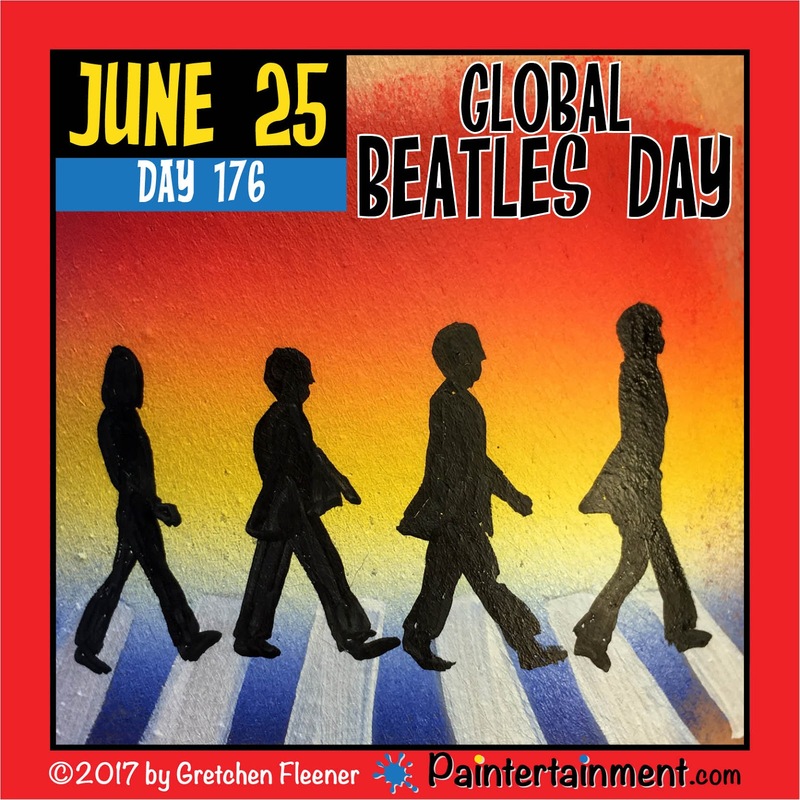 Celebrate Day 176: "Global Beatles Day!" 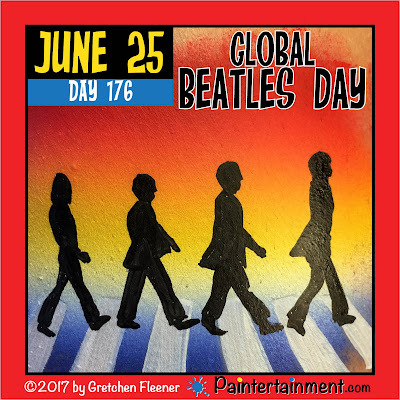 Happy Global Beatles Day! 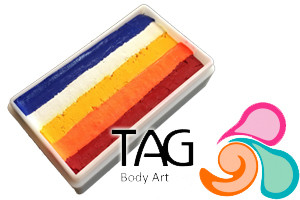 Today I painted this quick Abbey Road scene using our new exclusive TAG Ocean Sunset split cake for the background! Then I used a flat brush to add the crosswalk and some Wolfe black for the silhouettes! Celebrate Day 175: "Fairy Day!" 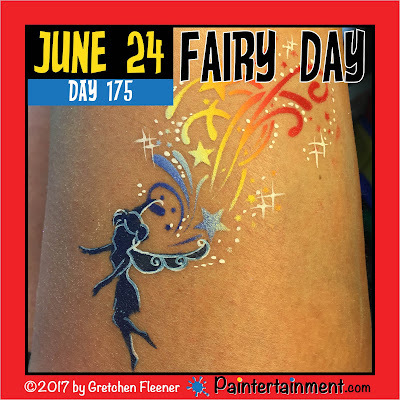 Happy Fairy Day! 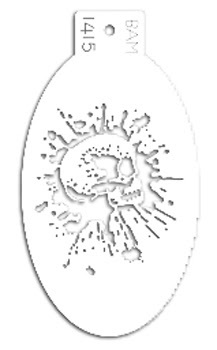 This one is uber fast, all done with stencils. 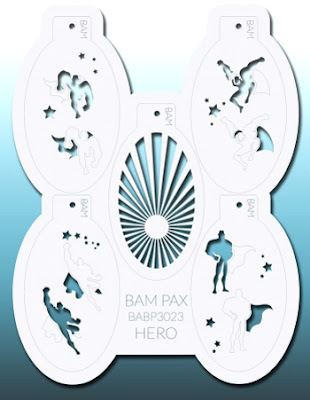 The fairy comes from the BAM-PAX "Pixie" set, and the stars are from the Hot Wingz Star/Fairy stencil! The colors in the stars & swirls are from our new exclusive "Ocean Sunset" split cake. 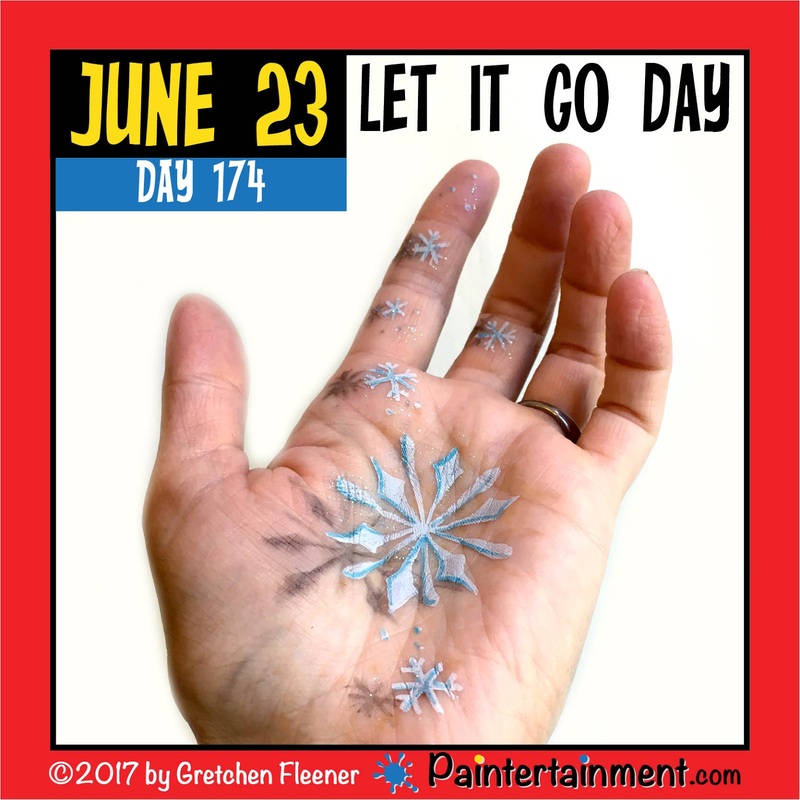 Celebrate Day 174: "Let it Go Day!" Let it go, let it goooooo!!! Speaking of let it go, are you planning a frozen themed birthday party? We do that! 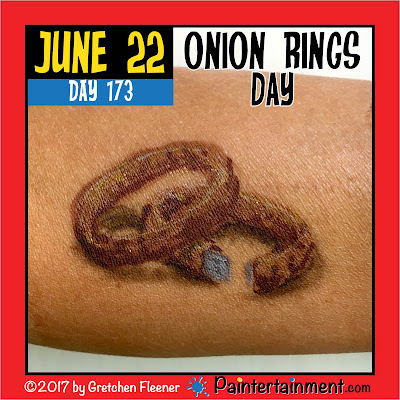 Celebrate Day 173: "Onion Rings Day!" 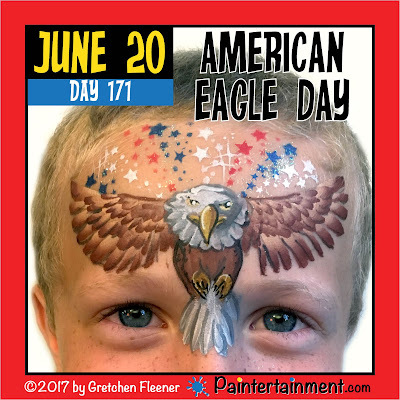 Last year I was asked by a major suburb in my area to submit a quote to paint thousands of children at their city’s 4th of July celebration. I fashioned a well thought out quote and after paying Thumbtack’s fees to do so, found that they weren’t looking to hire me at all. They wanted me to pay THEM $75 to set up a booth at their event. Some Clients Just Don't Know Better. I always give them the benefit of the doubt...after all, there are a lot of new artists who also don't know better and work for free to start out, later to abandon the thought once they've gone through with it...leaving behind the damaging impression that companies can still find free artists. I had to do a little educating of the client here, and let them know that we do not offer this type arrangement, especially on such highly sought after summer weekends, and a holiday at that. 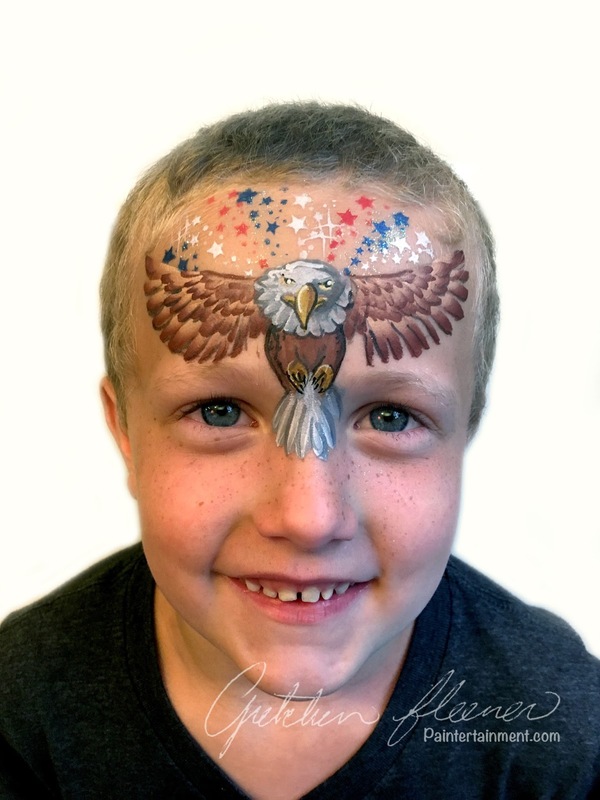 Face painting is entertainment. It is something that adds to the experience and atmosphere of their event, and brings more people in, helping them and all of their vendors succeed. Some events feel they are doing us a service, but it took me years to realize that it’s actually the other way around. 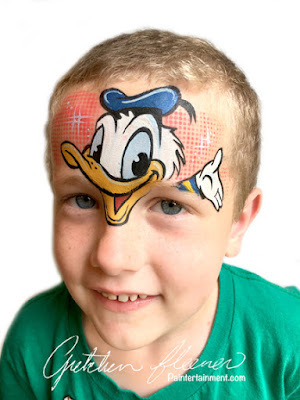 Face painters can only make so much per guest, and can only reach so many guests per hour. (Unlike a food vendor, who can sell a ton of food to one person). For this reason, it does not make financial sense to turn down up to 8 hours of potential events that would pay me my full hourly rate to start out $75 in the negative and hope to make a profit. In this arrangement they are asking me to take on 100% of the risk if business is slow or it rains. Some clients try to lure you by convincing you that you can deduct your “donation.” But in reality, you can’t deduct your services. According to the IRS publication 526, you cannot deduct the value of your time or services, or expenses, donated to a charity. To be able to do this, they would have to pay you your full rate, and then you would have to donate the money back to them, (if they are actually a charity), keeping a receipt from them. If you truly want to donate the value of your time to a charity, ask them if they are willing to pay you up front, and then provide you with a tax deductible receipt when you give the money back. Some artists will arrange to do this, donating a portion of their pay while keeping some to help cover material costs. But even then, whether your donation is actually tax deductible, and if so how much is deductible, varies depending on your own personal tax situation. The only way to really know is to ask your own lawyer or tax adviser. Here's a great article with more info on the topic. Non profit does not mean they give all their money to charitable causes. There is a difference between charities and non-profits. And to confuse things even more, not all donations to all charities are even tax deductible. (see above...contact your own lawyer or tax adviser to find out what rules apply to you!) 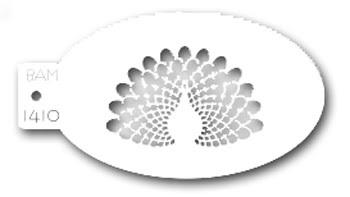 Many artists offer discounted rates only to charities, not non profits. Either way though, charities and non profits do have budgets for fundraising events. But you'll get a TON of EXPOSURE! Most artists who've done events for exposure will tell you that they lead to more unpaid events. 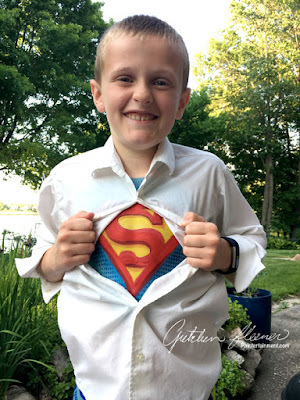 While I'm sure many of us would LOVE to be financially stable enough to put smiles on kids' faces at endless charity events, unfortunately it doesn't line up with the reality we live in. Donate your time if you wish, but most definitely do not do it with the expectation of getting more clients from it. Many people calling around fishing for free entertainers just don't realize that there are other options out there that actually enable them to get entertainment at no cost while the artists still get paid. 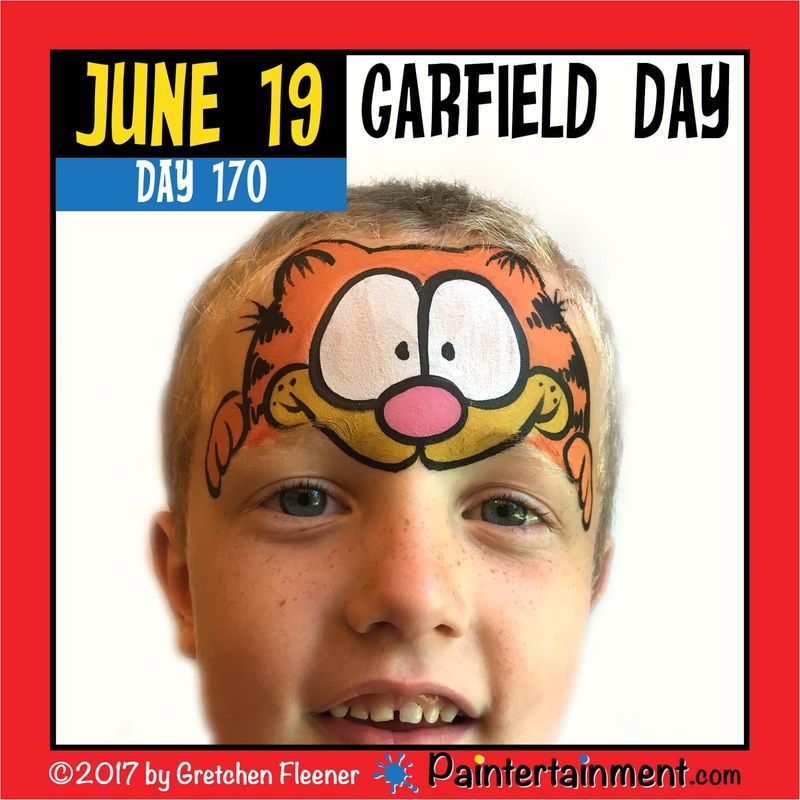 What I often do is suggest that they approach a local business and see if they would like to sponsor the face painting. Many larger businesses are happy to do this and have budgets to invest in community outreach. The local business pays the face painters, and the face painters put a sign out stating "face painting generously sponsored by Joe's Body Shop." The fundraisers get their entertainment, Joe's Body Shop gets kudos from their community, and the artists get paid to do their job. Another suggestion is that while you get paid your normal (or discounted) hourly rate, the event organizers can charge attendees for your services, keeping that portion from the guests as donations to their cause. (After all, people attend fundraisers with the intention of donating to the cause in the first place!) Some organizations may opt to pay your full rate and do this to recoup their cost. Others may find a sponsor to pay your rate, and then still charge the guests, raising more funds. In either situation, your time and materials are covered. Some artists are willing to donate their time and work for tips. While this often backfires, due to the fact that people are attending to donate to a cause they find more worthy than your personal bills, it's up to you if you'd like to give that option a try! There are other costs that come with donating services that many artists don't think of. By blocking off your calendar for an event you are working for free, you have to turn down other clients that come along wanting to pay your full rate on that same date. This is why you want to make sure that even if you are giving them a discounted rate, you will still be happy to have the gig when you start turning down others at your full rate. Not sure what costs I'm talking about, or unsure of what your rate should be? Read this post asap!! No, I'm not a scrooge. I know that I am probably coming across as a total scrooge in this post! I actually donate a lot of my own time and services to my church and charities that are near and dear to my heart, and it is not my intention to convince you NOT to donate to causes you find worthy. My only goal is to make sure you think about all sides, are fully aware of what you are giving, don't regret it, and don't get mislead into false hopes of big tax deductions or "exposure." SO, I hope this blog post leaves you feeling a little more informed, and more well equipped to respond to those requests to work for free! Many artists just flat out turn these events down, but when armed with a few alternative ideas to get yourself paid in the end, you never know...some of these free requests may turn out to be well paying, annual clients! Thanks for stopping by, and happy painting!! Celebrate Day 172: "Music Day!" 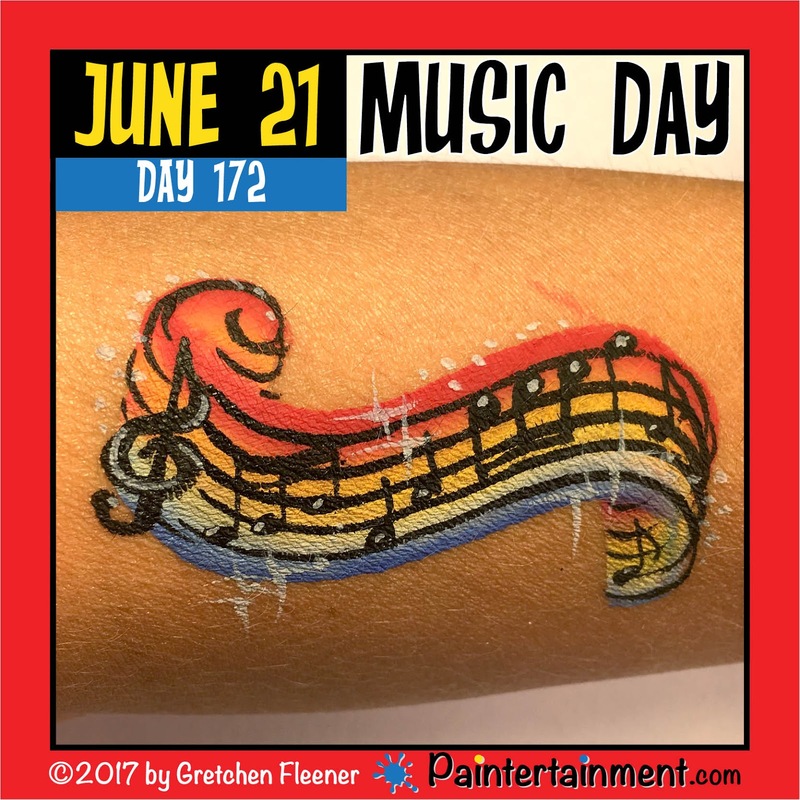 Happy music day, everyone!!! The background of this image was done with our new exclusive "ocean sunset" one stroke cake! 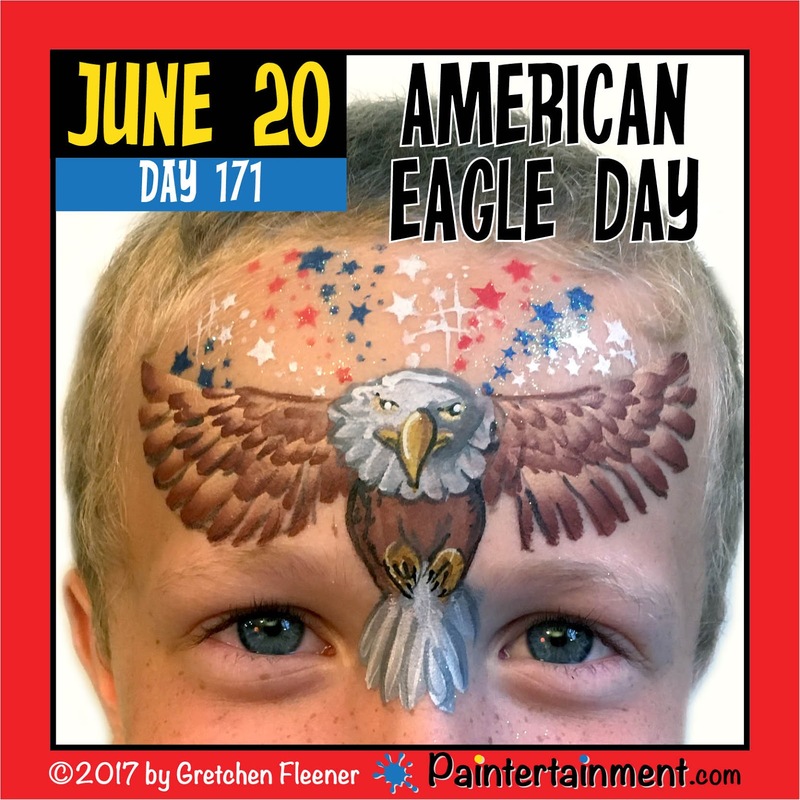 Celebrate Day 171: "American Eagle Day!" Celebrate Day 170: "Garfield Day!" 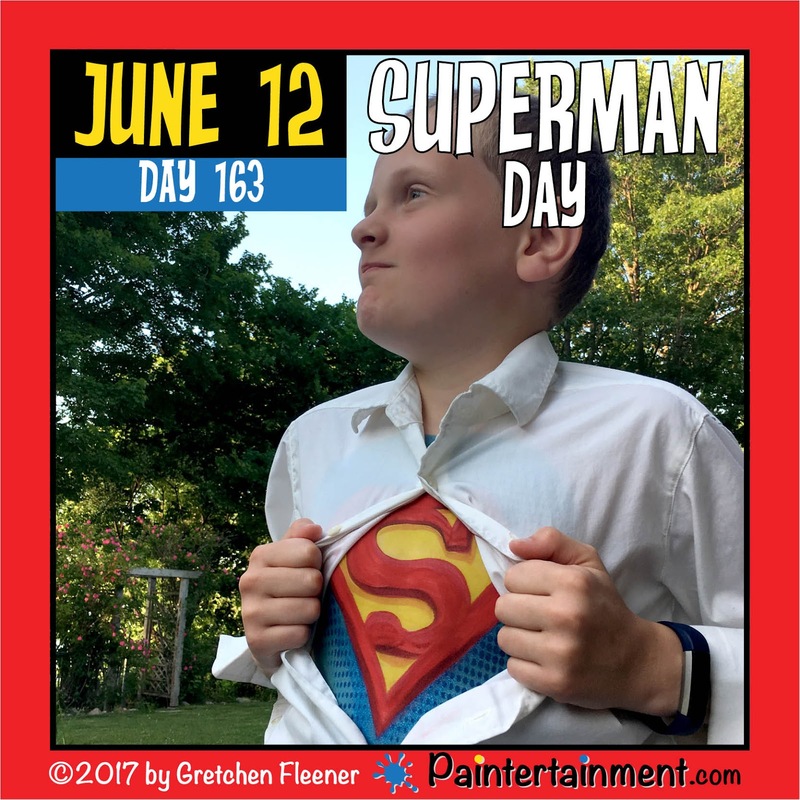 Celebrate Day 169: "International Panic Day!" Happy international panic day! 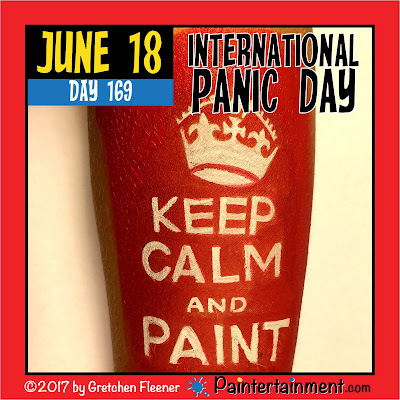 But don't panic...stay calm and PAINT!! Celebrate Day 168: "World Juggling Day!" 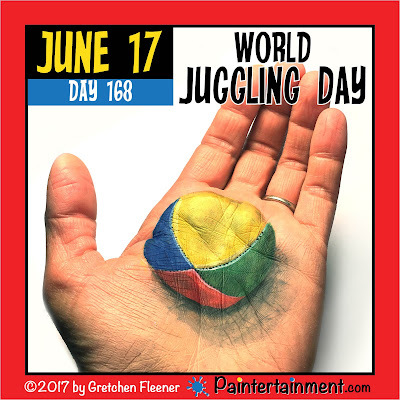 Happy world juggling day! 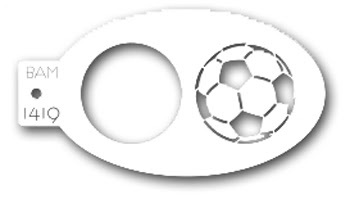 Since I can't juggle, I'm just gonna hold one ball for you. Haha! Celebrate Day 167: "Flip Flops Day!" 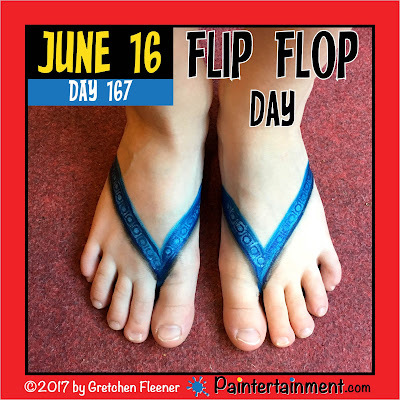 Happy Flip Flop Day! I started painting flip flops years ago, and even printed one in the back of my One Stroke Face Painting book! 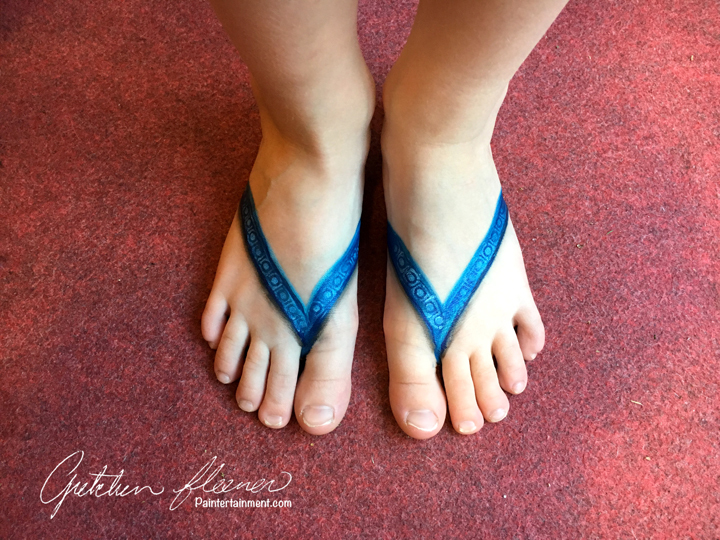 They have been really popular since, and are so cute and fun to "wear" in the summer!! 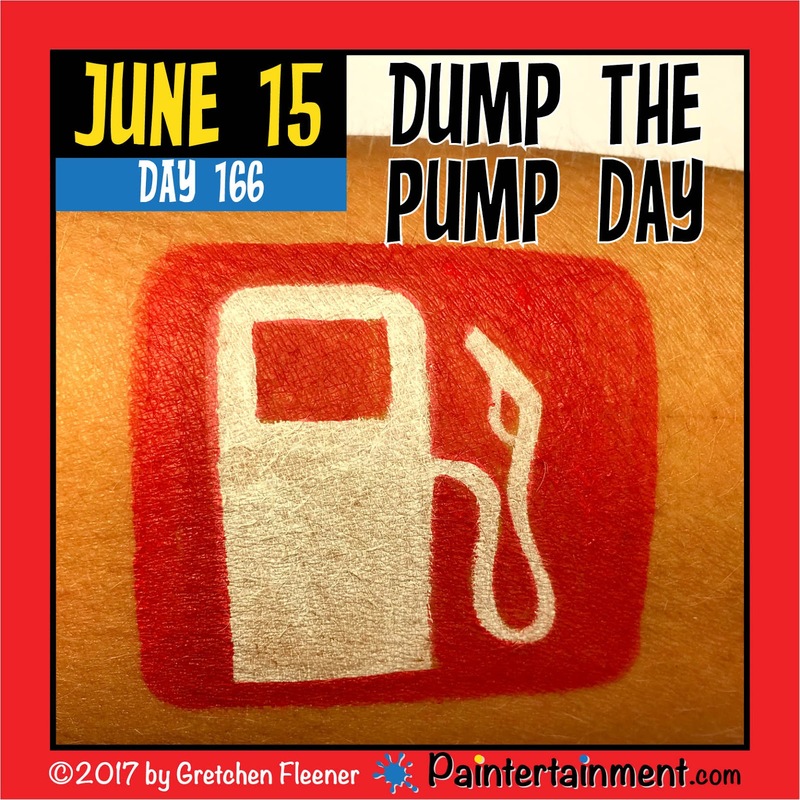 Celebrate Day 166: "Dump the Pump Day!" 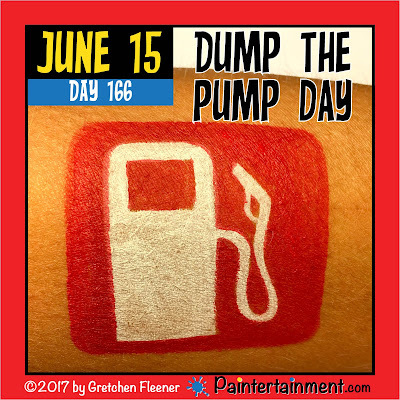 Happy "dump the pump" day! I'm super excited about all the new goodies now available in the shop! The first thing I want to show you just arrived TODAY! 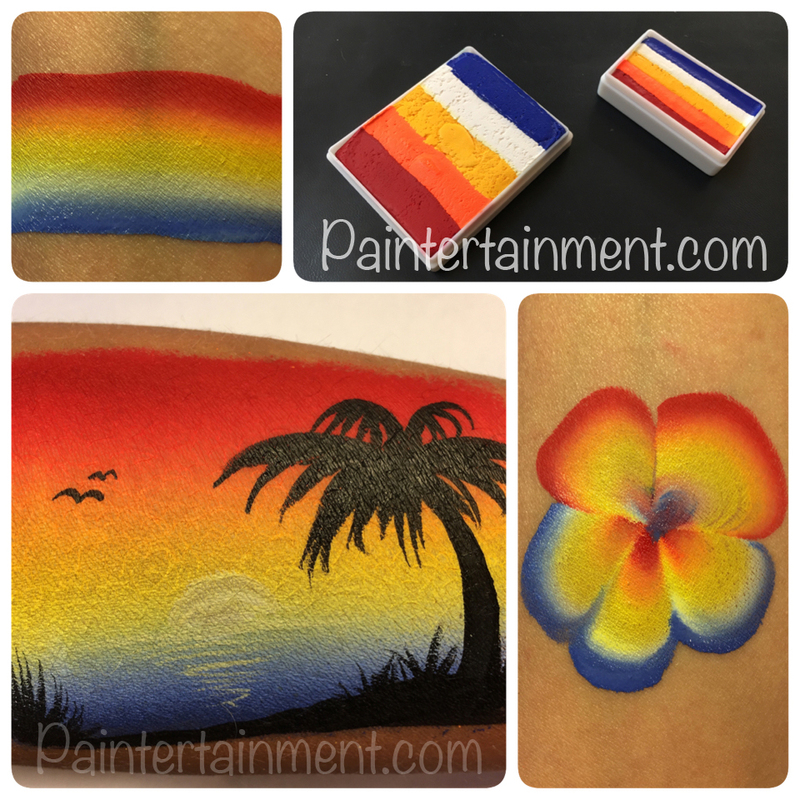 Our new custom cake, "Ocean Sunset," gives you a gorgeous sunset and ocean all in one stroke! 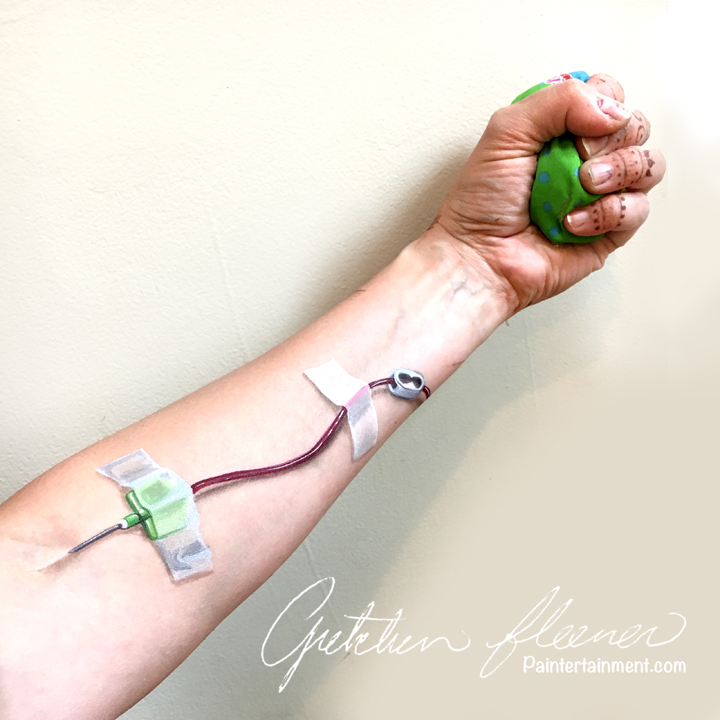 Get them now in either a large base blender size or one stroke size! 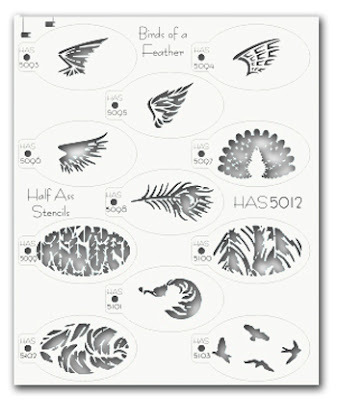 We also have some awesome new stencils to check out! Here's a fun design I did this week using the new BAM-PAX Hero set! Get yours HERE for $18! 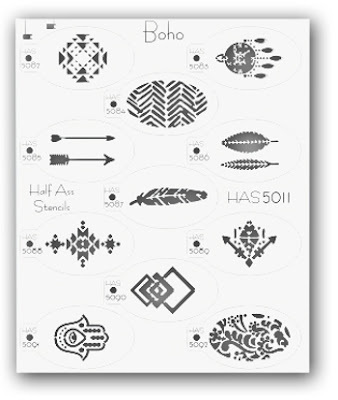 Here are some more awesome new stencils! 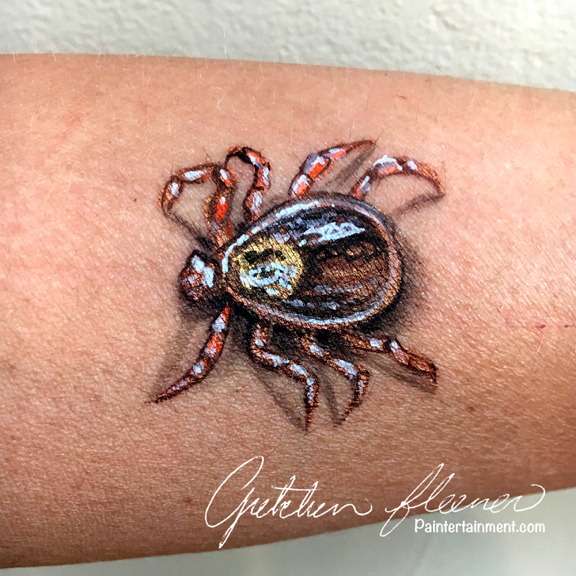 I'm hoping to play around with more of these new stencils soon...as soon as I have some fun sample paintings I'll post here and/or our Facebook page! Thanks for stopping by and happy painting! 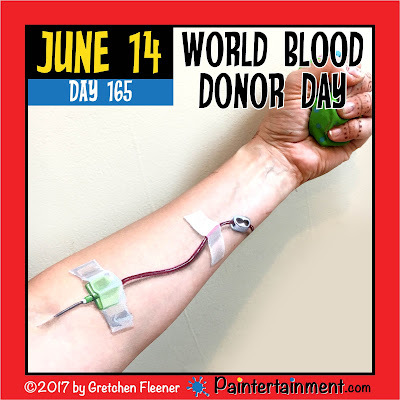 Celebrate Day 165: "World Blood Donor Day!" 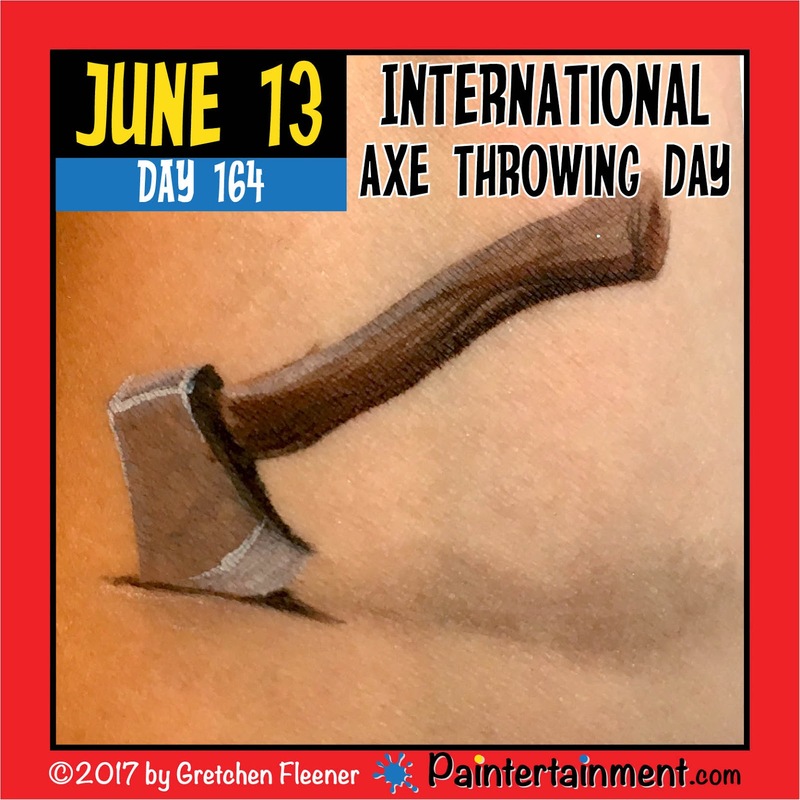 Celebrate Day 164: "International Axe Throwing Day!" Happy international axe throwing day! Celebrate Day 163: "Superman Day!" Celebrate Day 162: "Yarn Bombing Day!" 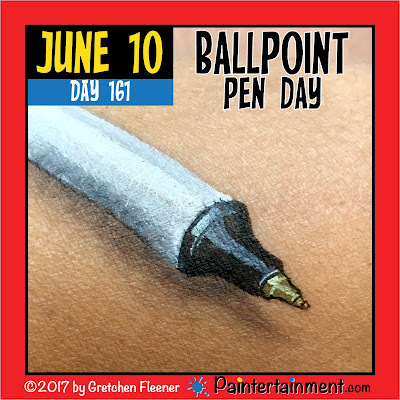 Celebrate Day 161: "Ballpoint Pen Day!" Celebrate Day 160: "Donald Duck Day!" 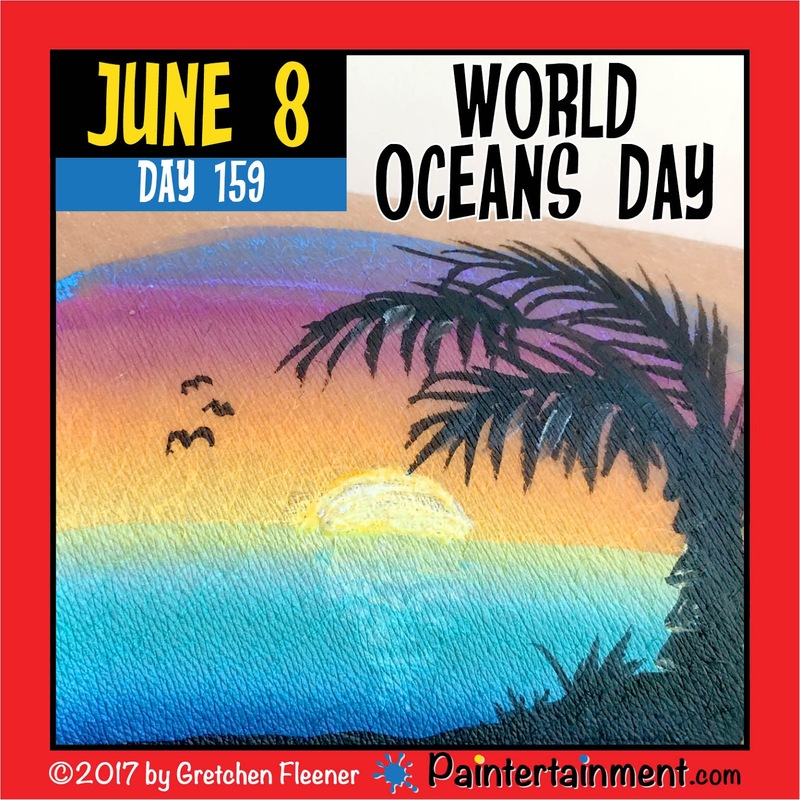 Celebrate Day 159: "World Oceans Day!" Happy world oceans day!! Today I did a really quick sunset design using TAG Superior Sunset and Ocean cakes! 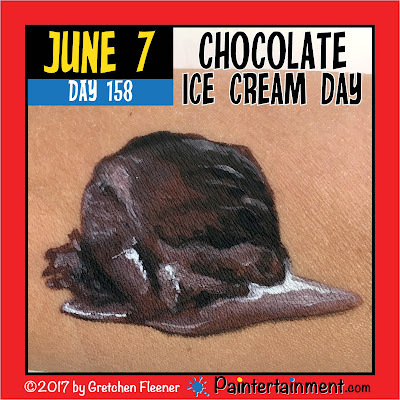 Celebrate Day 158: "Chocolate Ice Cream Day!" Happy chocolate ice cream day! ;-) Since I already painted a scoop of ice cream in a cone for strawberry ice cream day, today I thought I'd just do a melty scoop by itself! Okay, time to make an ice cream run...this is making me hungry! Celebrate Day 157: "Yo-Yo Day!" 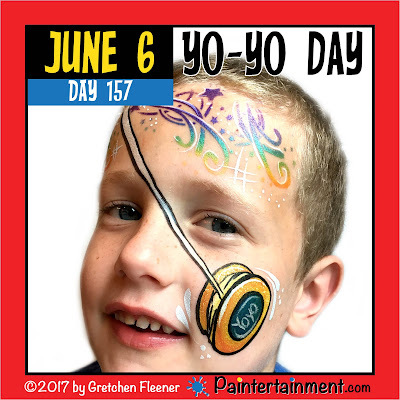 Happy Yo-Yo Day!! My boys love yo-yo's...this was a fun one. 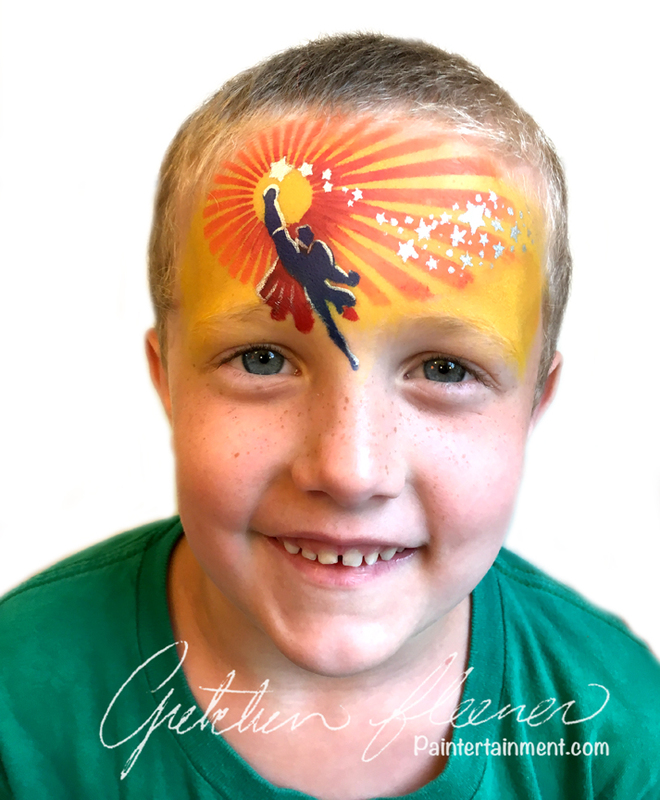 I used a Hot Wingz 8009 stencil for the stars and swirls, with some FAB Glitter Rainbow! 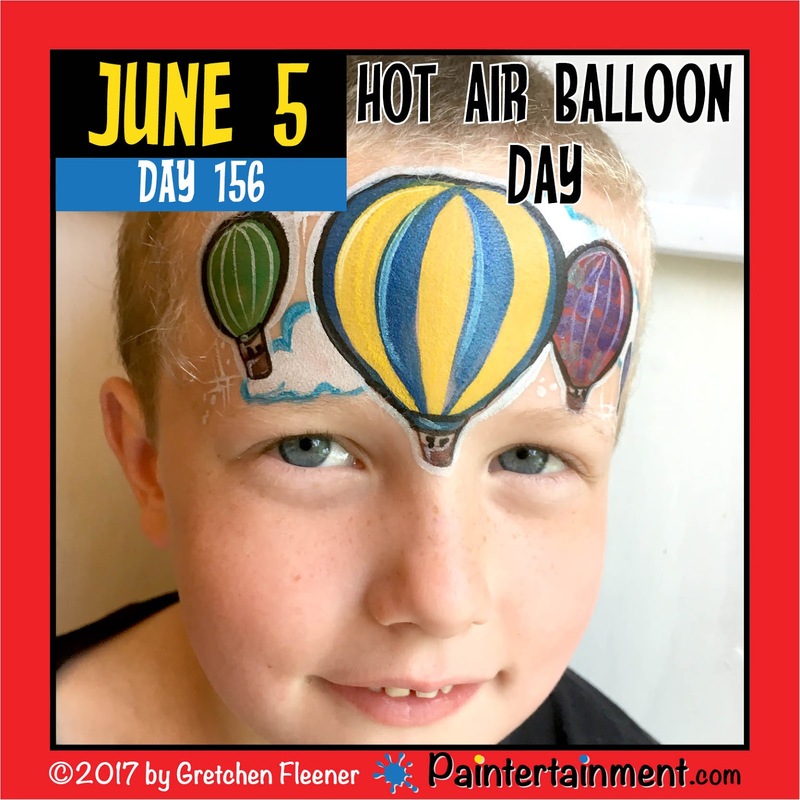 Celebrate Day 156: "Hot Air Balloon Day!" 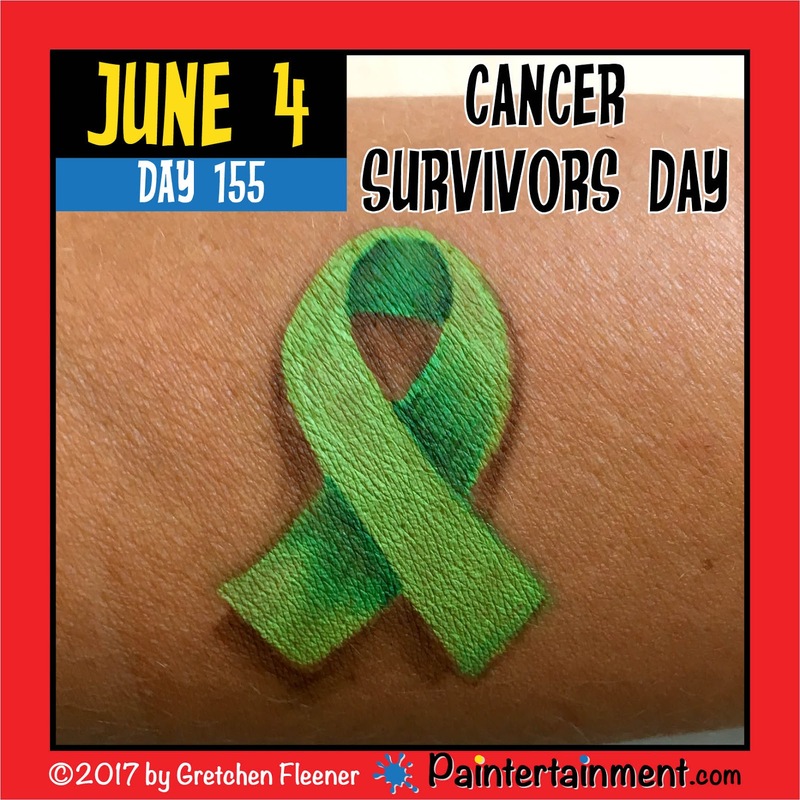 Celebrate Day 155: "Cancer Survivors Day!" 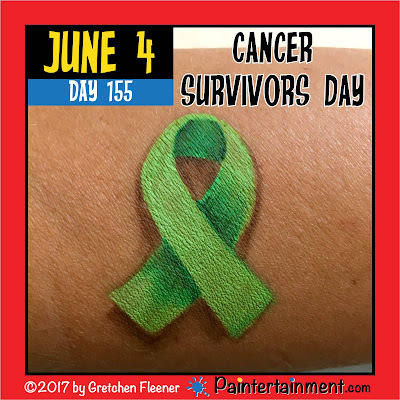 Happy cancer survivors' day! Today I've painted a lime green awareness ribbon in honor of my dad who has battled & survived Lymphoma TWICE! 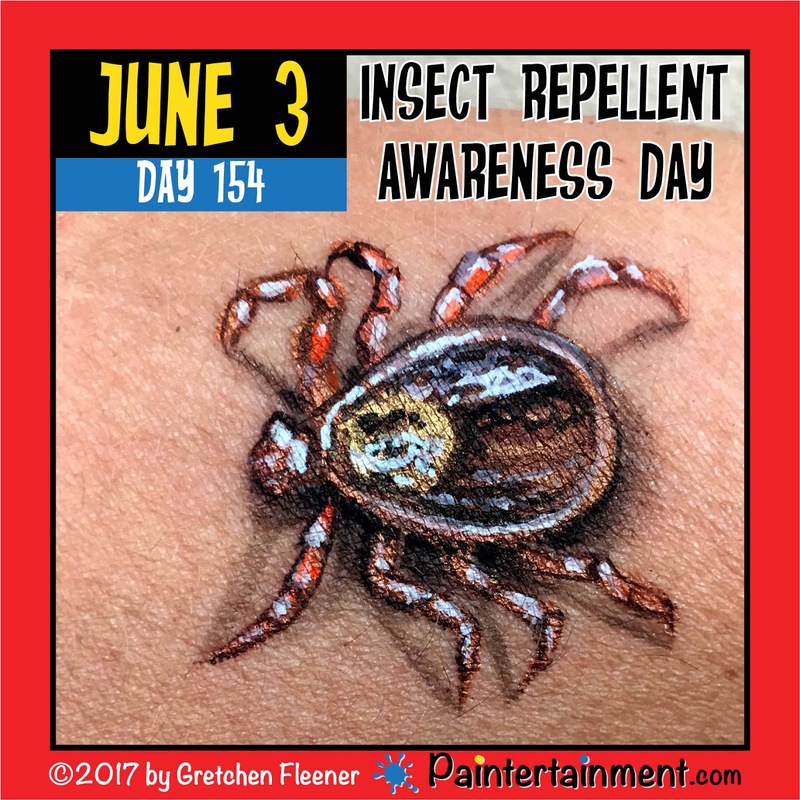 Celebrate Day 154: "Insect Repellent Awareness Day"
Happy insect repellent awareness day! 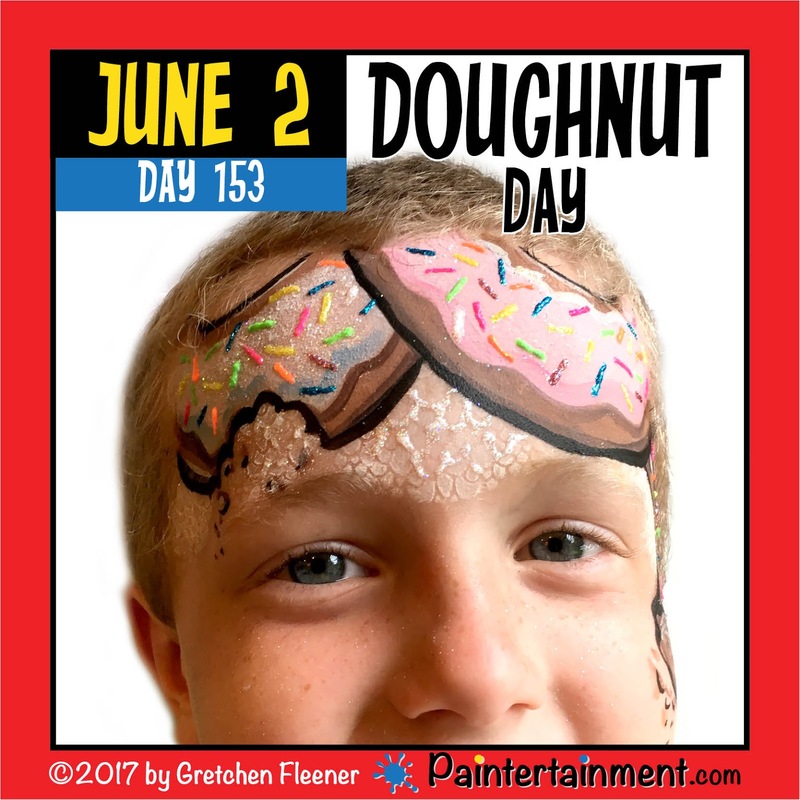 Celebrate Day 153: "Doughnut Day!" 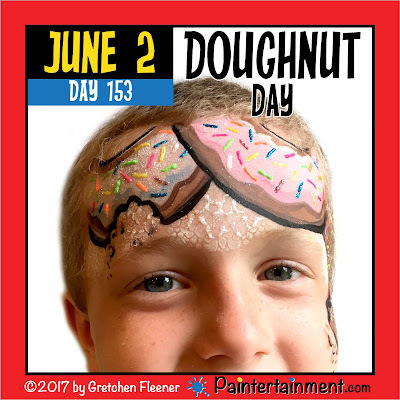 Happy Doughnut Day!! Haha!! This one was fun to paint...liquid bling works GREAT for realistic, 3-d sprinkles!! 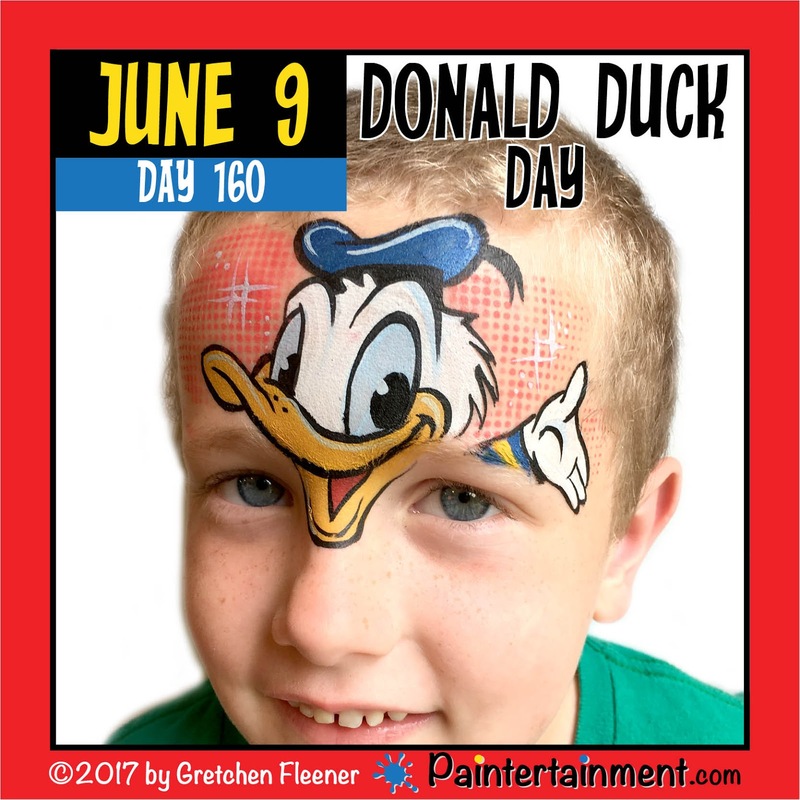 Celebrate Day 152: "Say Something Nice Day!"